Whether you are practicing or performing live for an audience, having the best piano bench for your playing style is very important. 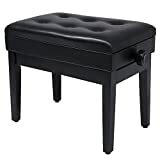 Knowing the details of the quality in the padding, stableness, and overall durability of a particular piano bench will aid you in discovering a bench that is well suited for your needs. In this reading, we will provide a detailed list of ten piano benches with a particular focus on their strong and weak points. Below, you will find an overview of the features and uses of each piano bench. Here is a comparison table for the best piano bench of the year. 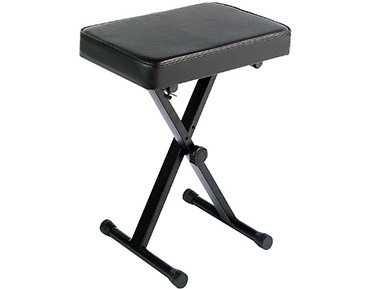 The TMS piano bench can seat up to two people on its padded leather seat. 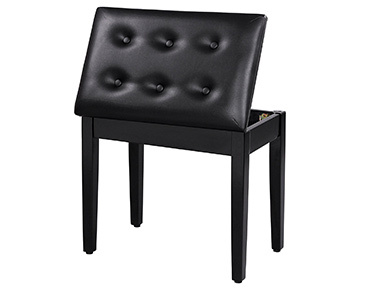 This feature allows for an easy seating that will come in handy when playing duets. 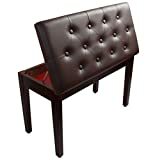 The structure is made of a solid wood frame and four legs for added durability. The complete wood finish has a black glossy appearance. On top of that, this choice also comes with a storage compartment within the folding seat. As the best piano bench, it manages well with up to a 300-pound weight load. 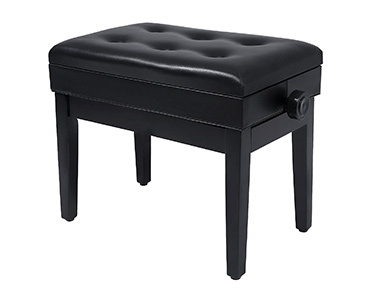 This piano bench by YMC comes with book storage housed beneath the cushion of the seat. Its durable structure can seat up to two people maxing out at 300 pounds. The frame and legs are constructed of solid wood. 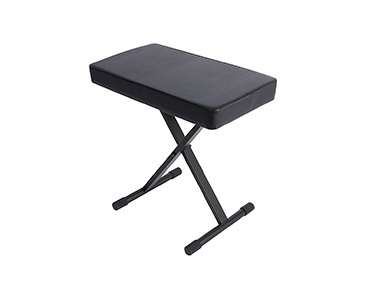 This is a multi-functional bench that is recommended by students and piano teachers alike. 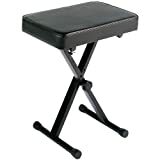 The Yaheetech piano bench can be adjusted to fit your desired height requirements. Its body and legs are constructed of cedarwood and faux leather. This piano bench was designed to be used with both piano and other keyboards. 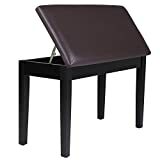 Beneath the seat, you will find a storage compartment to hold your sheet music. Adjustable. Legs may be wobbly. 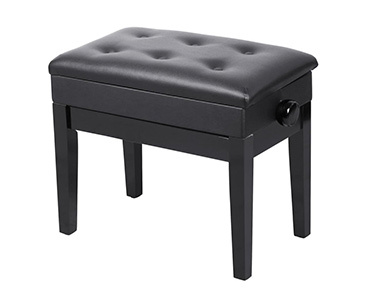 With three inches of padding under you, this bench will allow for hours of comfortable sitting while playing. The height adjustment mechanism consists of a spring-loaded double deadbolt locking system. This bench can safely hold up to a maximum of 360 pounds. The structure is welded with a black powder finish. 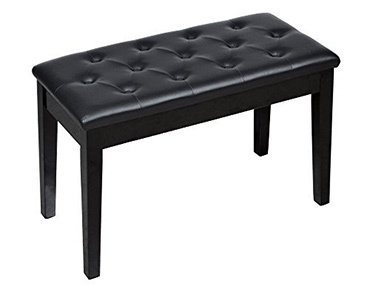 This black ebony piano bench is made of a solid wood build. Moreover, adjustment mechanism is made of heavy-duty materials, therefore, holding great strength. 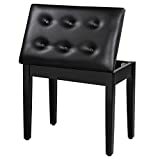 The seat is cushioned with soft padding for comfortable sitting. To help keep the bench from sliding and to keep the bench from causing marks on the floor’s surface, each leg of the bench has rubber tips. 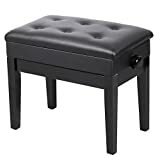 On this list for the best piano bench to buy in 2018, the Greenpro Adjustable Piano Bench makes it in the top five. This bench is constructed of heavy-duty steel. As a result, its strength and durability allow for the seat to safely hold a maximum weight of 370 pounds. 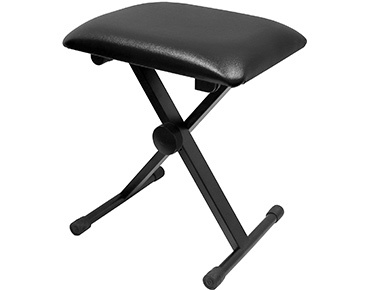 The PKBB1 by Yamaha is a portable bench that can be folded away for easy storage. This bench is great for the traveling musician. It is crafted of steel for added durability. On top of that, it has a padded seat with three height positions. The build is held together by a single brace along the steel legs. This piano bench by Songmics is built of wood for a solid assembly. Its strong build allows for it to safely hold up to 300 pounds. 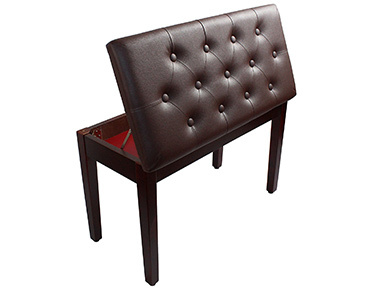 The seat of the bench is padded with a cushion covered in faux leather. The padding allows for longer periods sitting during practice times. 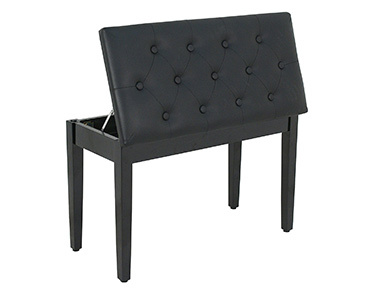 The duet piano bench by SONGMICS is often used for stage performances and teaching settings. It is cushioned for comfort and seats up to two people with ease. 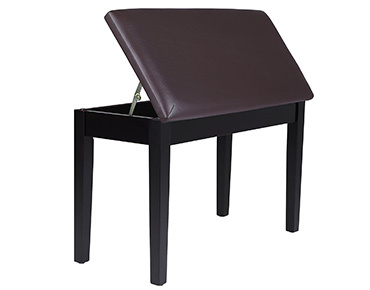 Beneath the padded faux leather seat, there is a storage place for sheet music and other accessories. The storage opens in a flipping mechanism. Ultimately, the bench is crafted from dense wood for added strength and support. The design of the bench consists of the body and legs being constructed of durable wood. The bottom of each leg is finished with rubber pads to eliminate slipping and scratching of floors. Within the cushioned seat, there is a built-in storage section to hold music and accessories. 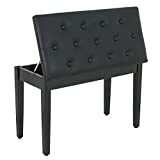 To help you find the best piano bench suitable to your preferred piano seating style and needs, we have included details on the durability and built of each piano bench in our list of ten of pianos benches. As you review the pros and cons, please share your thoughts on the above products.